Applications for Unified Communications & Collaboration (UCC) make communication within companies more effective. They optimize users workflows by minimizing errors, making recurring tasks easier and simplifying collaboration both within the team and beyond the company’s borders with business partners. UCC takes up the core concept behind computer-based telephony (hotkey dialing / Click2Dial), but also transfers it (the market researchers Gartner call this: „reducing the human latency“) to other media (instant messaging, audio/video and e-mail). Unlike the classic CTI solution, which is centered around telephone lines, the latest generation of UCC soft ware is based on person-centered architecture. This puts the communication partner, the „calling partner“ in the centre. The principle driven by real-time technologies (SIP, XMPP, WebRTC) is as crucial for the successful long-term implementation of a Unified Communications and Collaboration strategy in the company as the perfect interaction with the existing ITC infrastructure, for example with common telephone systems, groupware platforms (such as Lotus Notes, Microsoft Exchange and Tobit David InfoCenter), CRM and ERP systems (e.g. Microsoft Dynamics CRM and NAV), specialist applications (e.g. DATEV pro), Windows Terminal and Citrix servers and virtual server technologies. The software supports modern Windows operating systems and Microsoft Off ice 32 and 64-bit versions. ProCall now allows smartphones, such as the Apple iPhone or Android devices, but also classical mobile phones, to be integrated via a simple Bluetooth pairing for call management and the display of calls, contacts and journals. This means that you can operate your mobile phone without any time-consuming tapping on the display. The implementation of MDM and BYOD concepts is therefore no longer a problem. ProCall Enterprise Server was developed especially for Microsoft Windows Server operating systems. ProCall Client soft ware is available for Microsoft Windows and Apple Mac OS X (concentrated range of functions). Native apps are available via the respective app stores with special functions for the Apple iPhone and iPad as well as Android smartphones. VMware and Citrix support add the fi nishing touch to the portfolio. Common requirements as regards the hardware and software used must be met for the seamless operation of ProCall Enterprise. ProCall Enterprise has few compulsory and a wide range of optional interfaces, ideally based on open standards. These are intended to make it as easy as possible for you to set up and use your soft ware with maximum interoperability and investment protection. 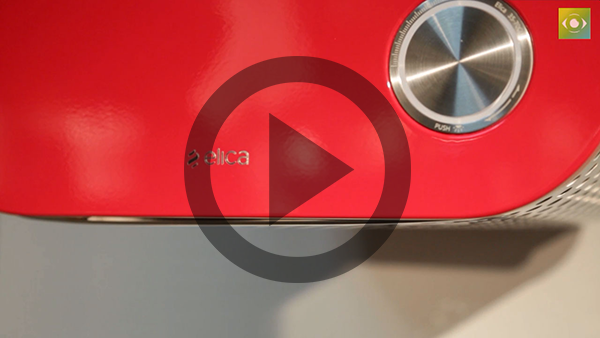 ELICA Spa – world leader in the design and implementation of range hoods for domestic use – has chosen the ProCall suite of ESTOS to manage their Unified Communications.